Founder, Jim Stevens, started selling hardware 30 years ago and was dedicated to giving superior customer service to the people of Wilmington, NC. He decided to open up his own hardware store to fulfill his dreams. In 1990, Jim and Patsy Stevens purchased Cooperative Hardware which was established in 1933 and was the oldest hardware store in the area. Jim and Patsy had a dream for their family which would be passed down to their two sons, Andy and Joey Stevens. Starting in a mom and pop establishment with old fashion hardwood floors on 13th and Castle St in downtown Wilmington, they knew it would be hard work and long hours. Soon, their sons were old enough to work after school at the store with their parents. Hard work and dedication led them to their first expansion to 1831 Dawson Street in 2004. After building that store to its strong customer base the family was able to open another location in 2008 located at 6756 Market St. The Market Street location was a hardware store previously owned by the Wilson family. Carrying on the Stevens Tradition of excellent customer service, they decided to switch from Do It Best to the mighty Ace Hardware family. In November 2014, Stevens Hardware became members/owners of Ace Hardware. This has been one of the best decisions for the Stevens family. Adding the Ace name has only strengthened our commitment to superior customer service. 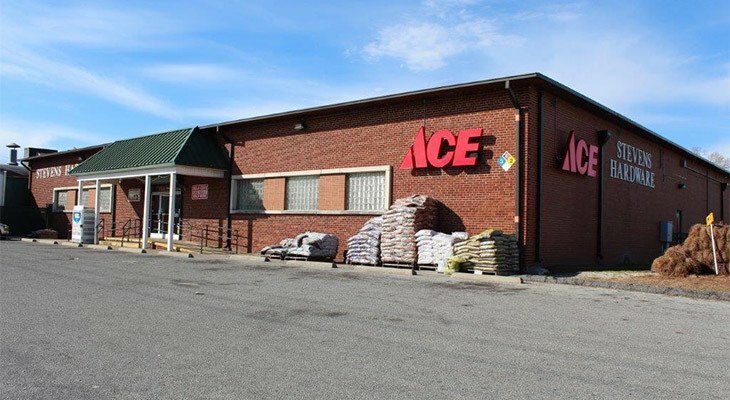 Along with the addition of Ace, a new generation has taken over management of Stevens Ace Hardware. Andy and Joey Stevens took the helm of the business in order for Jim and Patsy to retire and enjoy what life has to offer them. Although Jim and Patsy are retired, they remain members of the board of directors of Stevens Ace Hardware. Stevens Ace Hardware and its employees are dedicated to our customer by giving them the best customer service we can offer. You are not just a customer to us, you are a friend, colleague and, most of all, family.